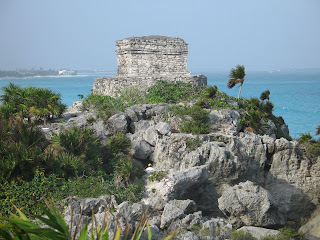 This trip to the Maya area picks up where “Capital Cities of the Ancient Maya” leaves off. After visiting Palenque we explore a number of sites in the Rio Bec region of southern Campeche, where little-visited Maya ruins feature entrances built to resemble the mouths of gigantic serpents. The site of Calakmul is one of the largest Maya sites and was anciently the capital of the powerful Snake Kingdom, mortal enemy of the kings of Tikal. 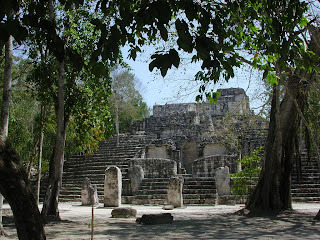 The site of Dzibanche is another large ruin that was the capital of the Snake Kingdom from approximately 450 to 600 A.D., before it moved to Calakmul. 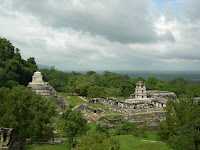 It was from this capital that Snake Kings, including Sky Witness and Scroll Serpent, set out to attack and defeat such distant enemies as Palenque and Tikal. Kohunlich is a nearby site where large stucco masks were saved from looters when the Mexican authorities secured the site in the 1970s. Our drive north through the Mexican state of Quintana Roo takes us through the land of the Cruzob Maya, descendants of Maya who in the 19th century rebelled against centuries of mistreatment and who ruled this area independently until the beginning of the 20th century. The Postclassic site of Tulum is situated dramatically on a rocky rise above the turquoise waters of the Caribbean waters that have made the site world famous. Ek Balam has only recently been discovered and is of incomparable importance due to its phenomenal state of preservation. Chichen Itza, in the central part of the Northern Lowlands, was one of the last great Maya capitals and its structures reflect intimate connections with the Toltecs of Central Mexico. The famous Cenote of Sacrifice was once the scene of rituals that included tossing, not only gold and jade artifacts, but also people into the deep waters. Old tales tell of virgin sacrifices and, while the bones of the sacrificial victims have been recovered, modern archaeologists have not been able to verify their virginal status. 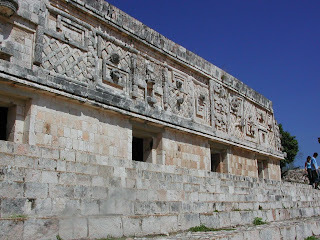 We finish off our visit to Yucatan with visits to Uxmal and Dzibilchaltun. Uxmal is one of the most beautiful Maya sites and its Puuc-style architecture has been described as the height of architectural beauty among the ancient Maya, an impressive accomplishment given that all the work was carried out with stone-age technology. Merida is the capital of Yucatan and has been since colonial times. Even earlier it was the capital of the Postclassic kingdom of Tiho’ and hieroglyphic texts from Dzibilchaltun, an important site just north of modern Merida, reveals that it was the capital of the Tiho’ kingdom back in the Classic period. Merida was known as the “Paris of the West” a hundred years ago due to its French-inspired architecture that flowed from the enormous wealth generated by Yucatan’s henequen haciendas.